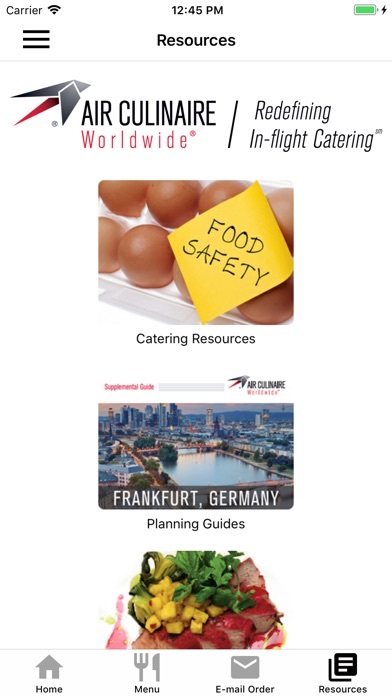 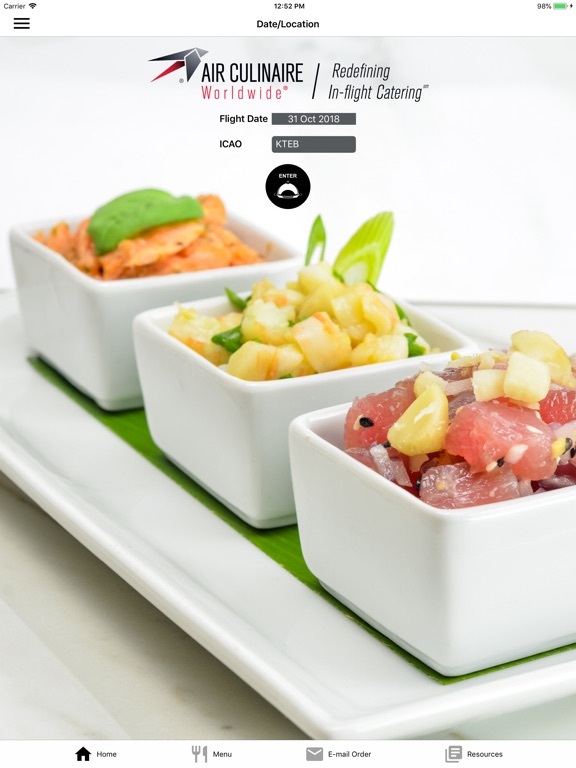 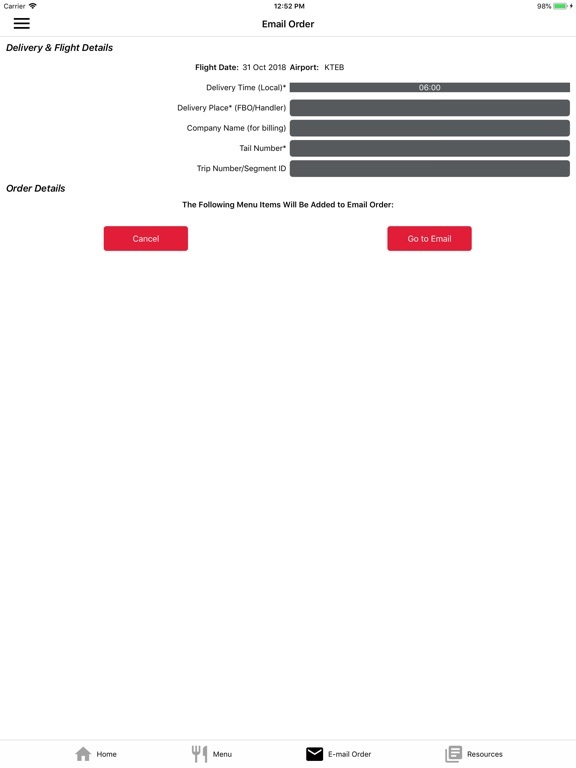 •	Air Culinaire Worldwide (ACW) menus are available at a variety of destinations frequented during private aviation trips that are served by our kitchen locations and network vendors. 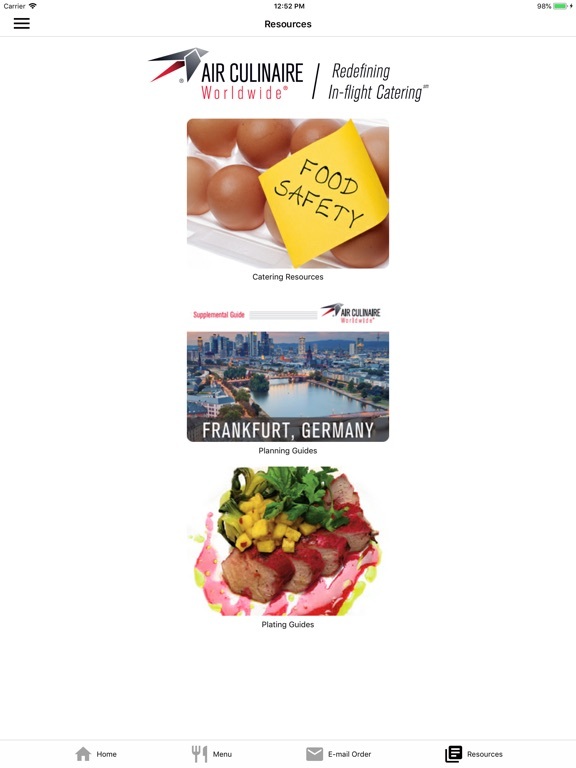 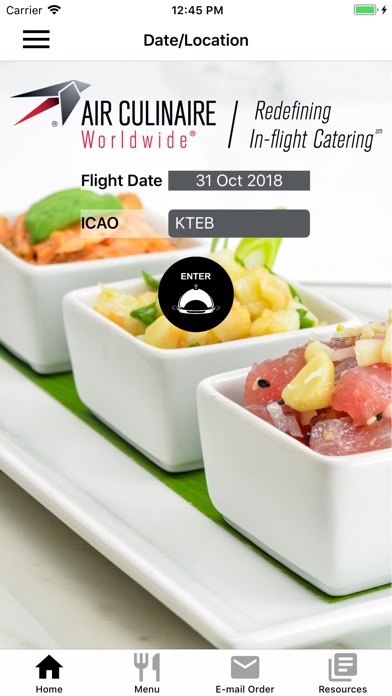 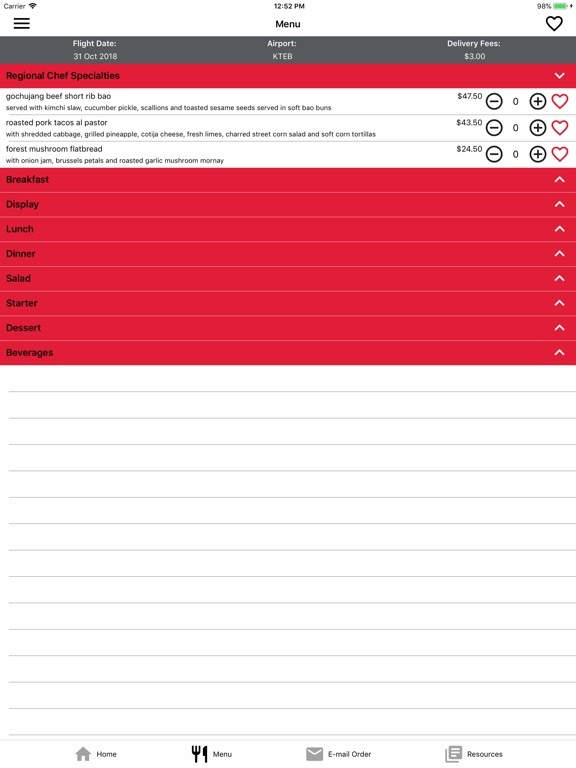 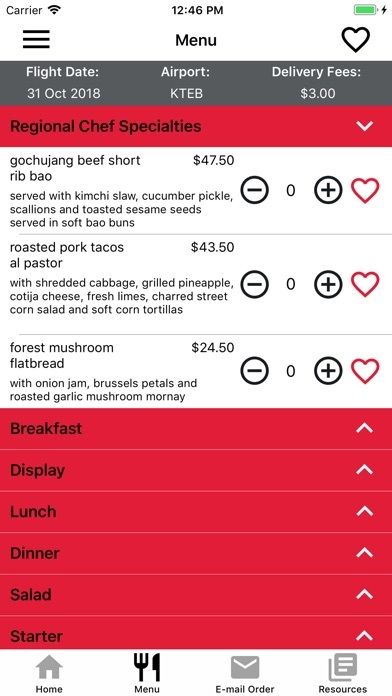 •	A library of helpful in-flight catering tools and culinary resources are pre-loaded in the app to further educate users in upscale plating techniques, cultural influences on cuisine, food safety and other best practices. 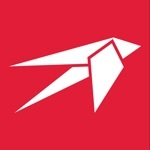 •	Users will receive push notifications when new content is available. 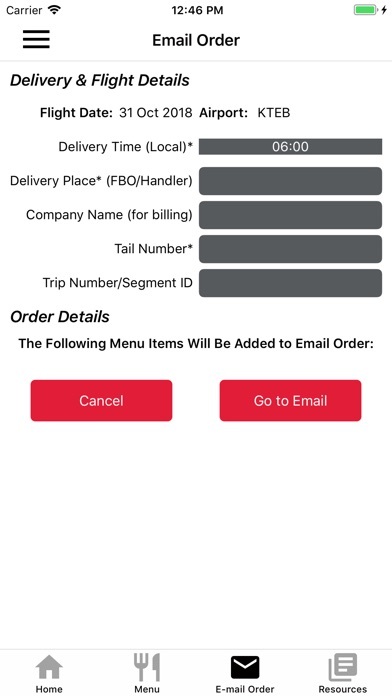 At that time, users have a choice to download the content to their mobile device for future offline access or to access the content without download while connected to the internet.